Quest for environment protection using innovative technologies in personal transportation is stepping up around the world. Revolution or progress, the truth is that using e-bikes constitutes an interesting and relevant ecological way of personal transport perfectly suitable for today’s lifestyle, especially urban. Sustainability has opened space for more innovative, intelligent and efficient options to an Austrian electric bike manufacturer, Johammer. “The supplies of all raw materials on this planet are limited. When we use valuable raw materials, it is our duty to ensure that the products we make from them are designed to last as long as possible. Recycling is inevitable and all very well, but something is always lost in the process, in addition to consuming more energy.” says Johann Hammerschmid CEO. 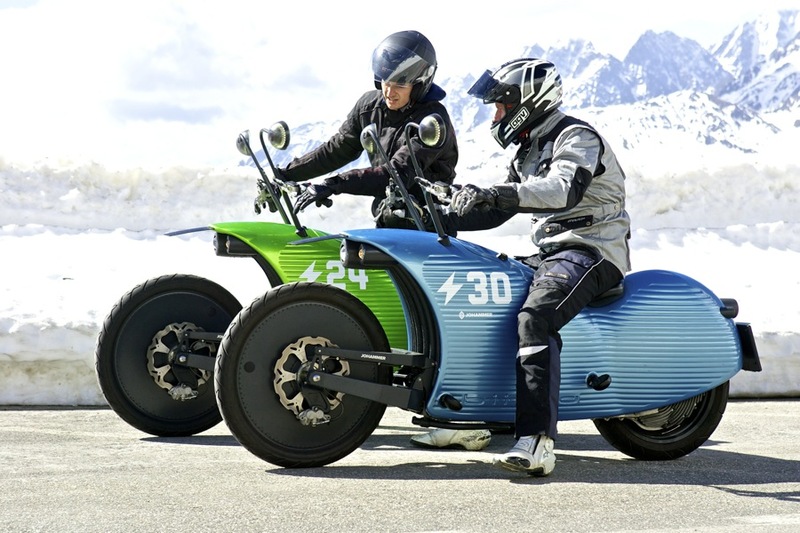 Fifty-six-year-old Hammerschmid first thought of an electric vehicle in 2007, and it took shape over the years as essentially a weekend project. His other company, Nordfels GmbH, solves complex engineering problems. With a team of fewer than; 40 it makes factory lines for the food, drug and farm industries. Their latest machine, for example, toasts 5,000 sandwiches per hour. Johammer's J1 e-bike sets on becoming the Tesla of bikes, and even its battery to power your home. It is definitely on the expensive side, but there is certainly a market for this type of novel vehicle. According to Bloomberg a new version of the bike, which is already in development, can double as battery storage when linked to home solar panels. Tesla has a similar system of their own – their Powerwall units store energy and can be used to power homes. 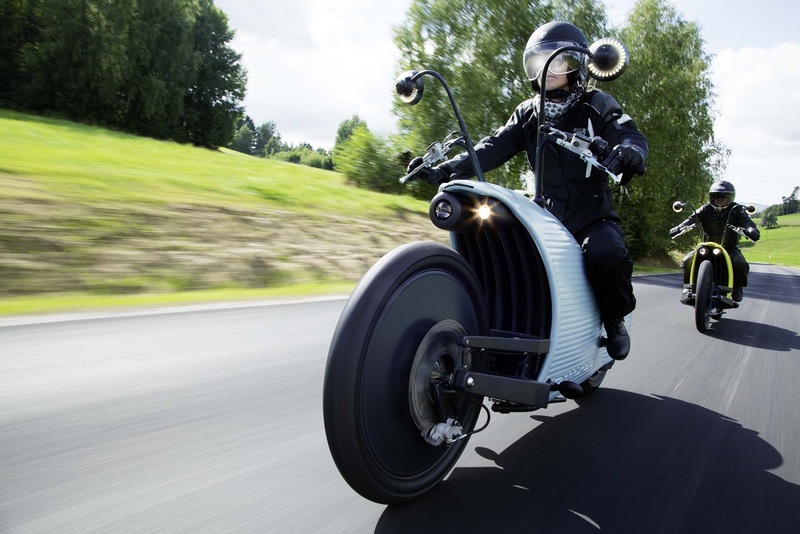 Johammer’s J1 e-bike has already clocked more than 300 km on a single charge and is capable of reaching 74 miles per hour. 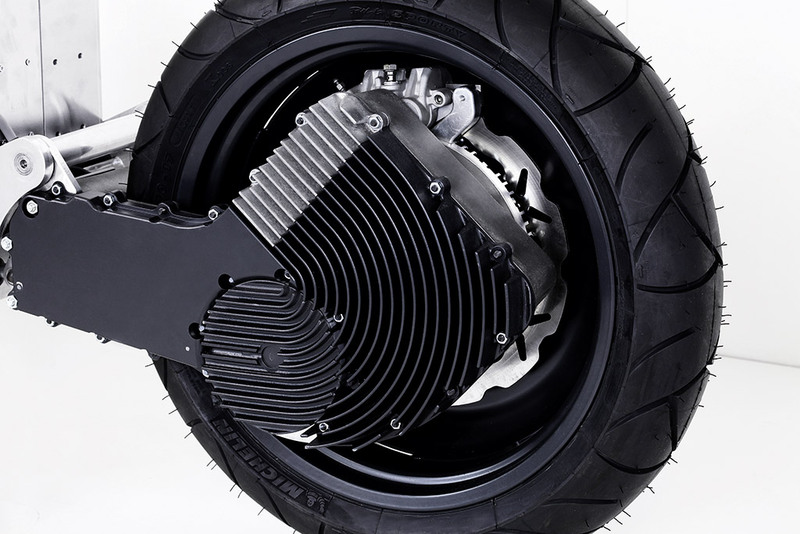 J1 e-bike is powered by an electric motor mounted on the rear wheel, which is driven by a coil that generates an electromagnetic field as power flows through it. 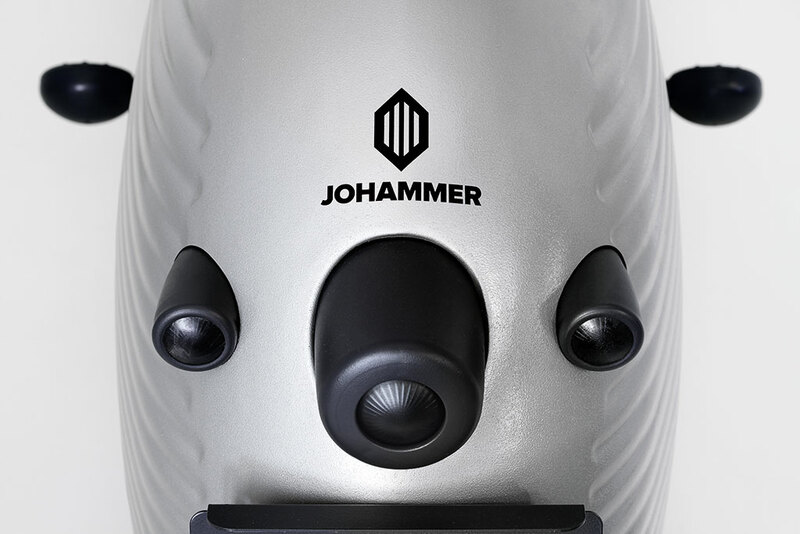 It might look the strangest at first instant, in fact, the Johammer J1 is probably the most revolutionary in design and technology. The developer of J1 aims to double up the enormous battery that could power your home in next generation model, that now under development. 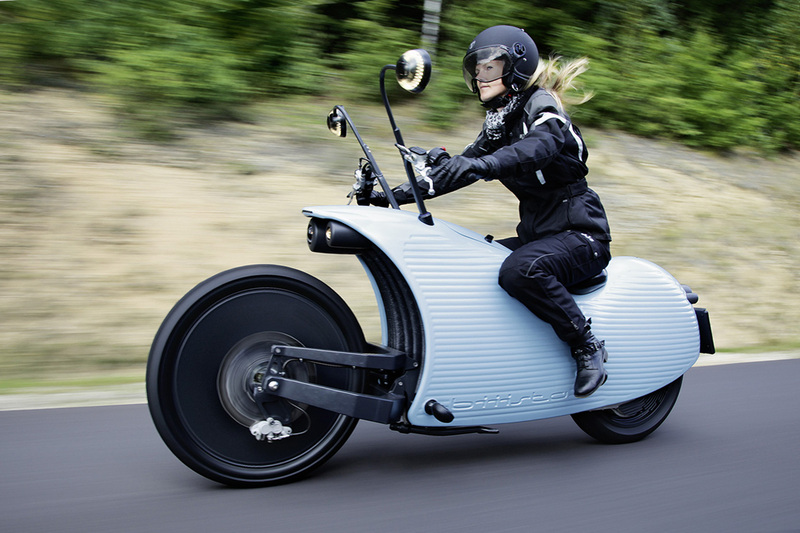 The Johammer J1 is offered with two different battery pack options: 8.3 kWh and 12.7 kWh for 93 miles (150 km) and 125 miles (200 km) of range respectively, reports Bloomberg. The range is significant for an electric motorcycle and competitive with the likes of Zero Motorcycles and Victory, but it comes at a price: € 22,900 (~$26,000) for the bike with the 8.3 kWh battery pack and € 24,900 (~$28,000) for the 12.7 kWh option. 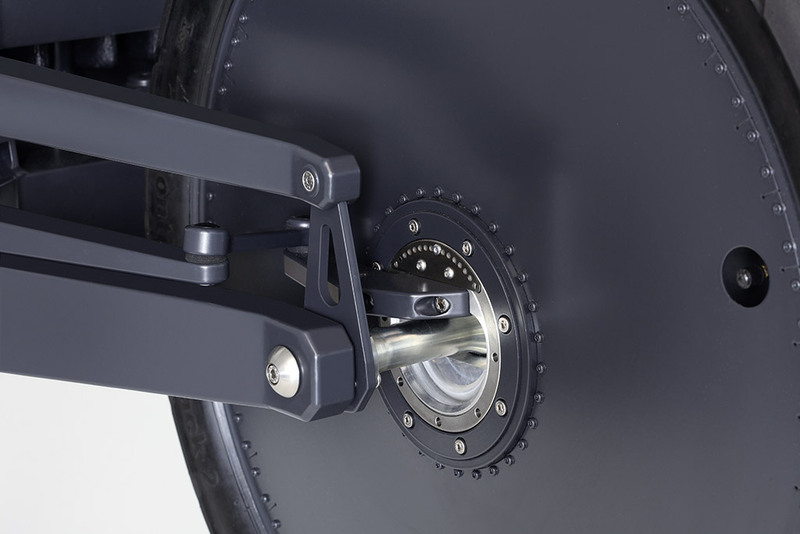 The electric motor and controller are integrated into the rear wheel hence no maintenance is required. The J1 e-bike is perfect synergy in terms of weight, stability; and function. It has an extremely torsion-resistant aluminum main frame that accommodated the shock absorbers and battery pack. All dash displays are integrated into each of the round rear-view mirrors. High resolution 2.4″ color screens provides information relating to speed, revs, warnings etc. at-a-glance. 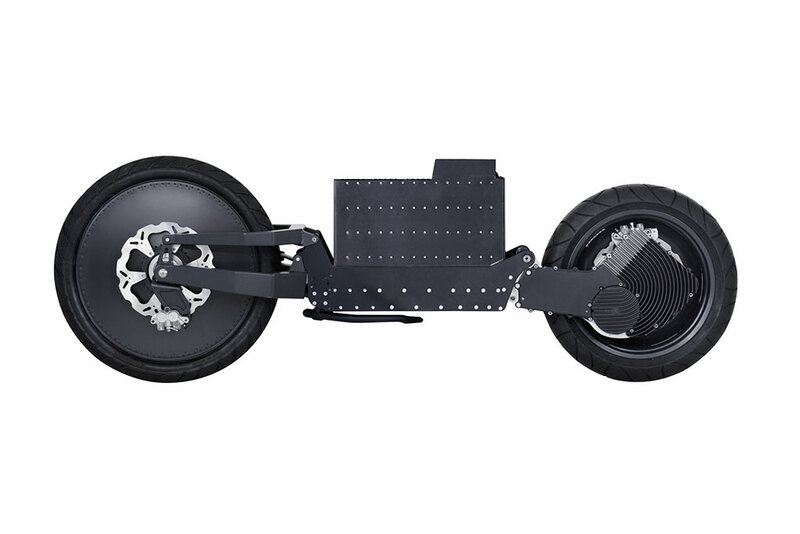 The overall length, height, and wheelbase of J1 are 2200 mm, 1200 mm, and 1455 mm respectively. The seat is kept at a height of 650 mm that can cater to wide range of users.